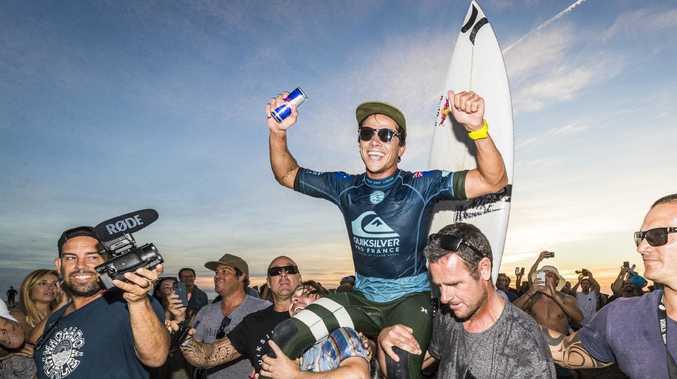 Australian surfer Julian Wilson after winning the Quiksilver Pro France 2018 in Hossegor, France. Picture: AAP Image/Supplied by World Surf League. 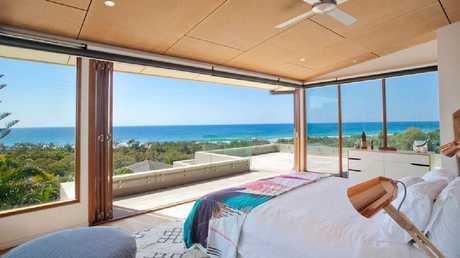 WORLD number three surfer Julian Wilson is significantly richer after a $4 million-plus oceanfront payday for his jawdropping Queensland home. Wilson, who was praised as a hero worldwide for swimming towards former world number one Mick Fanning after a shark attack, grew up in the Coolum Beach area and bought a home there three years ago. His architectural masterpiece in Peregian Beach - designed by highly sought after architect Tim Ditchfield - hit the market in late September and within a week Wilson accepted an offer on it. His agent Rachel Sellman of Century 21 Conolly Hay Group told The Courier-Mail that "the property went under contract within seven days of going to market and it was a multiple offer situation". 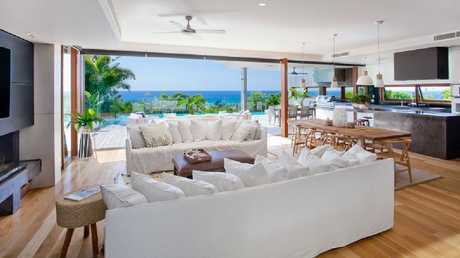 The home was designed by renowned Noosa architect Tim Ditchfield. "It sold north of $4m," she confirmed, with the property unconditional and settlement set for 2pm Friday. Loads of room for Wilson’s board collection in the garage. Wilson had bought the house for $3.25m just three years ago but now spends most of his time offshore on the international surfing circuit. His most recent win - the Quiksilver Pro France 2018 in Hossegor, France - came just over fortnight after letting his home go to market. Julian Wilson in action at the Quiksilver and Roxy Pro France 2018 mid last month. Picture: AAP Image/Supplied by World Surf League. Ms Sellman said offers had been made on the property before listing, but the firm wanted to test what it would get on the open market. One of the original offmarket bidders outlasted other parties to seal the deal. "The first buyer really wanted it. They were big fans of Tim Ditchfield's work, the architect." Ms Sellman, who marketed the property with colleague Mike Hay, said it was a very successful campaign. "Everyone's happy all around." What an amazing view to wake up to. 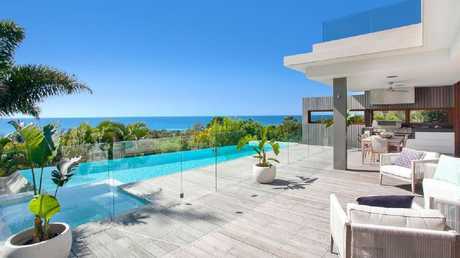 The award-winning home received a regional commendation in 2009 from the Australian Institute of Architects. "Set on an elevated site, fresh ocean breezes and an abundance of natural light fill the home, while banks of louvre windows and stacking doors allow you to feel as though you live on top of the world." The home received a regional commendation in 2009 from the Australian Institute of Architects.